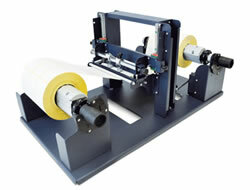 Increase your label printing productivity with one of the digital label finishing solutions that we offer. These machines are meant to help you cut costs by eliminating material waste and producing custom labels in-house and on-demand. Our printers and finishing systems make creating custom products and compliance labels easy! Let us help you configure the best system for your needs. The all-in-one digital system that unwinds, cuts and laminates. Make the most of the print area with more rows of labels from the same roll. 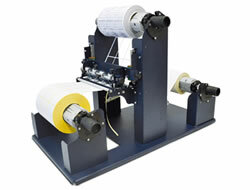 Unwind and remove the label matrix from a die cut label roll. NeuraLabel is the complete label printing solution for product and regulatory labels. We pair breakthrough printing technology with innovative software to offer the best continuous, desktop label printers available.